An Australian business employing Australians. 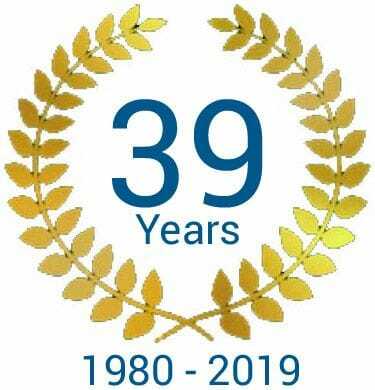 Medeleq Pty Ltd was founded in 1980, by Michael & Denise Cutajar, to supply Medical Electronic Equipment to Hospitals and Allied Professionals in Australia. Our beginnings were at Coolangatta, Qld and within 18 months were also located in Brisbane and Sydney. In 1987 the Queensland offices were consolidated into Medeleq's own premises at Nerang. In 2017 Medeleq moved into new premises at Arundel. We hold Quality Assurance Certification to ISO 9001: 2015 and in 1998 Business Queensland placed our company in the top 450 Privately Owned Companies in the state. Of paramount importance to Medeleq is the relationship between our clients and ourselves. We also place major importance on the ongoing training of clients in any product they purchase from us. We are constantly updating our own knowledge to enable us to support our business and products.Medeleq has adopted a policy of supplying only those products which clearly demonstrate their quality and which are suitable for their intended purpose. We place particular emphasis on expertise, experience, capability, reliability and quality. We believe that a high standard of quality in all our services is essential to the achievement of company objectives and the continued growth and success of the company. The staff at Medeleq have an extensive knowledge of the Australian Medical Electronic market. Our backgrounds are Medical, Nursing, Scientific, Biomechanics (Sports science), Technical and Business Management.